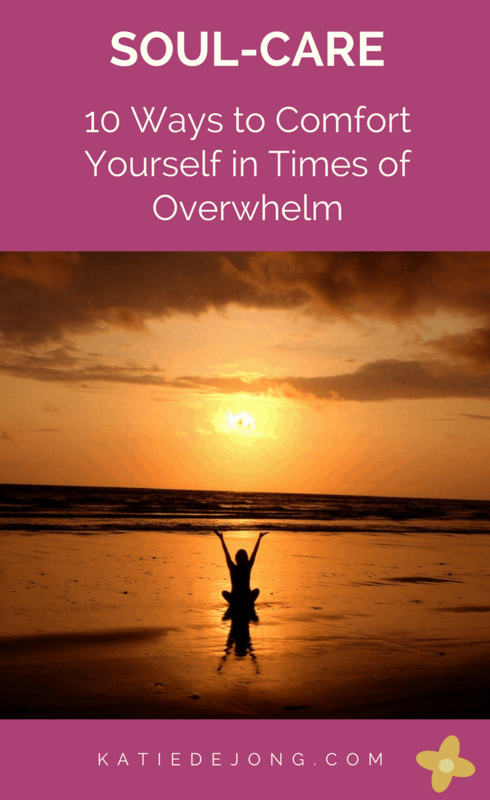 These are the strategies I wish I’d known about back when I was in the middle of my challenging, dark years of fatigue and overwhelm. When I was in my mid-twenties to early thirties I suffered from a mystery illness that could only be explained by medical doctors as ‘chronic fatigue’. The doctors told me it was all in my head when their blood tests didn’t reveal any hint of a problem. But I knew there was something seriously wrong. It started out as a very heavy fatigue and gradually turned into a living hell as I became overtaken by numerous viruses and infections. I tried countless therapies and healing techniques while spending all my time (and money) going from one doctor, healer or therapist to another. Nothing helped. I kept working during this period, but every day I woke up feeling drained, unwell and exhausted before the day even started; it was an extremely unpleasant way to live. 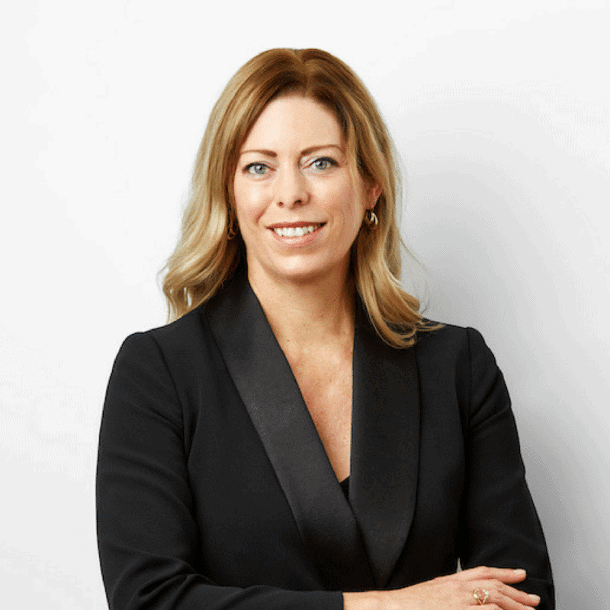 It wasn’t until someone suggested I go to the Tara Health Centre in Perth (Australia), where I was living at the time, that I finally found the help and support I needed. Thanks to their cutting-edge diagnostic techniques and treatment methodologies, they were able to help me recover my energy and vitality in less than a year. During the treatment process, it became apparent that I was and had been under high levels of emotional stress, which has a profound impact on our physical health. The therapists told me I needed to pay attention to my emotional well-being and that I should find ways to soothe and nourish myself emotionally, to support my physical recovery. Up until that point, I had never prioritised my own emotional well-being. Aside from doing regular yoga and meditation, I’d spent my years partying hard, studying hard and working hard trying to establish myself in the professional world and keep up my social life. I’d been stuck in a perpetual cycle of over-achievement, people-pleasing and self-neglect, all trying to seek the approval and validation that I so desperately craved. There had been no time to seriously consider the needs of my soul. But I now see clearly that that’s precisely why I developed the chronic fatigue in the first place. 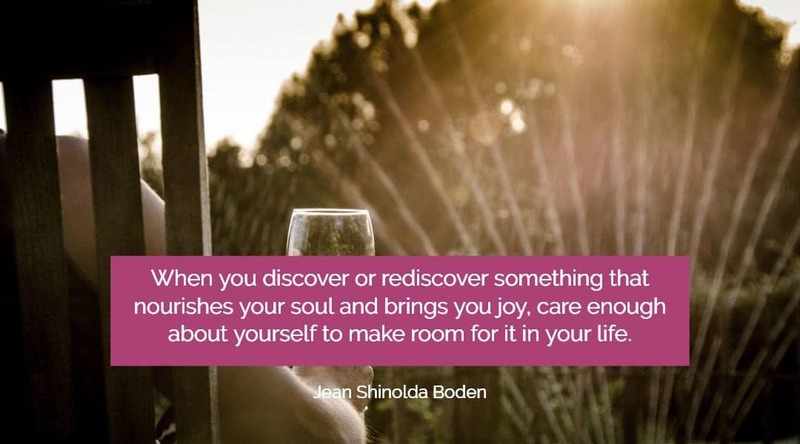 I made a commitment to nurturing my own soul and emotional well-being, and with time I started to really feel and appreciate the deep connection and interdependence between my emotional well-being and my physical health. I’m now passionate about helping people find ways to nurture their own emotional well-being in order to thrive physically and emotionally. 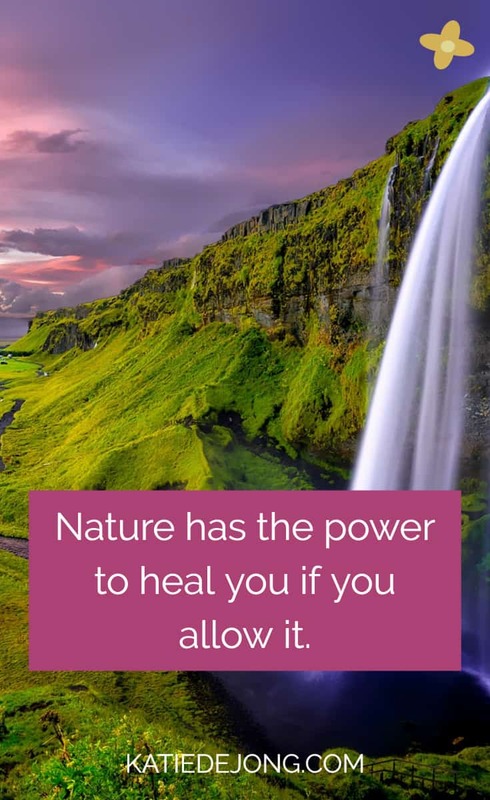 One fantastic method that has profound positive impacts on your emotional well-being is The Healing Code, which I share in another blog article called The Healing Code: How to Reclaim Your Health & Well-Being in 3 Powerful Steps. I recommend having a read through this article to learn how you can heal illness and emotional pain using Dr. Alex Loyd’s simple yet very powerful process. It’s a technique I revert to time and time again when I experience illness or an emotionally painful situation. Recently I came across Anthony William’s book. More recently I came across Anthony William’s book Medical Medium, that describes ten beautiful ways for coming to a place of deep rest, connection, and nourishment, to enhance and maintain your emotional well-being. William, a medical psychic who has devoted his life to helping people overcome illness and disease, was four years old when he shocked his family by announcing at the dinner table that his symptom-free grandmother had lung cancer. Medical testing soon confirmed the diagnosis. Anthony is now the go-to healer for well-known people such as Gwyneth Paltrow, Naomi Campbell, and Christiane Northrup. Several of the techniques he describes in his book were new for me and I hope they provide you with some new ideas and inspiration to bring some more soul nourishment into your own life, as they have for me. With all the focus and attention on the benefits of meditation these days, I’m sure it comes as no surprise to you that meditation is first on Anthony’s list of methods to soothe your soul. You may be familiar with traditional forms of meditation, which involve sitting quietly and choosing a single thing to focus on, perhaps a mantra or a lit candle, or a recorded voice that guides your thoughts. In all cases, the intention is to quiet the ‘monkey mind’ that’s caught up in endless thoughts, to reach a state of stillness and to be able to access the intuitive guidance available underneath. I like to think of it as being like a big lake that’s stirred up by river streams (thoughts) pouring in and out. When we stop the turbulence by stopping the flow of water in and out and allow our thoughts to become still, suddenly the water becomes quiet, the sediment starts to settle to the bottom and the water on top becomes crystal clear. These moments of stillness and clarity have profound positive effects on your body, mind and soul. One of my favourite meditations is one I learned from one of my mentors Gina Marie Mele for connecting with your heart – your body’s centre of love and peace – to immerse yourself in its energy and receive its gentle guidance. I These days there are many great Apps available for smartphones that have beautiful music or guided meditations, such as Calm or Buddhify. 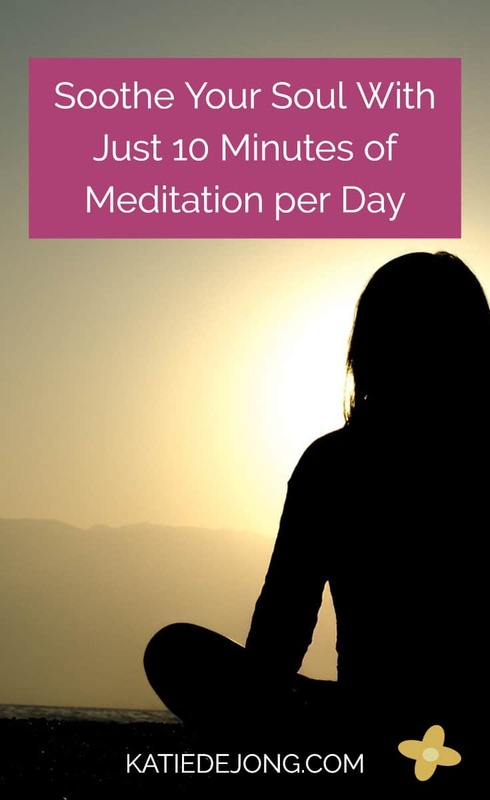 All you need is 10 minutes a day (longer if you can, but ten minutes is a very good start) and you will start noticing the soothing effects of meditation on your soul). If you’re fortunate enough to be able to get to a beach regularly, according to Anthony “it’s possible to maintain a superior meditative state of healing by watching the waves on a beach – if you know how to tap into them.” Anthony says he’s seen countless clients heal themselves of Post-Traumatic Stress Disorder (PTSD), pain and suffering using the following technique: As you sit, stand or walk on the beach, envision every wave as a surge of soul-cleansing energy. When a wave comes in, imagine it bathing any pain and scrubbing loose any damaging emotions or thoughts. As the wave recedes, watch it take away all those impurities. With each new wave, let yourself be cleansed of poisonous memories, injuries from past lives and stains on the soul. See them all wash out to sea. When you feel purified, let each new wave bring strength and renewal to your spirit and soul. Getting out in nature is of course very healing in itself, but for the most healing and soothing effect on your soul, Anthony suggests taking a moment to appreciate the peaceful environment around you and to pay special attention to the trees. Turn your mind to their root systems. Think about the minerals and water they’re drawing from deep within the earth, up through their trunks, up through their branches. As you let yourself feel surrounded by this deep earth energy, envision roots growing out of your feet and into Mother Earth’s soil, down into the centre of the earth. Something I like to add (thanks to a technique taught by Amy Oscar) is to imagine my energy merging with the molten core of the Earth, and then receiving her energy back up through the soles of my feet. This is a beautifully grounding experience. When you intuitively feel it’s time to end the grounding, imagine that you’re leaving your roots protected and preserved in the earth as you break free and walk away. These roots remain a part of you. Wherever you are, transcending time and space, you can draw healing energy from the earth when you need it. I do a grounding technique each and every morning called Connecting Heaven and Earth by Donna Eden, which is another great way to begin the day feeling fully grounded and in your body. It’s also incredibly soothing for the soul. Grounding techniques fortify every aspect of your being. They strengthen your root chakra which reinforces your will to survive, invigorate your spirit to receive positivity and ward off negativity, and create a strengthening frequency for body and soul. Bee watching is a secretly miraculous meditation according to Anthony. As bees dance from flower to flower, absorbing the sun and distributing pollen along the way, they emit a healing frequency that reverses disease and promotes soul and emotional restoration. This is something we can’t understand on a rational level, but our cells understand. When you make yourself aware of the bees and ask your body to tune its channels to their frequency, all of the cells in your body will start to resonate with this healing vibration. When you want to cleanse yourself of negative emotions, Anthony suggests taking a walk in nature and keep your eye out for small stones that call to you. Over the course of your stroll, select three that feel good to hold in your hands. Name each stone by the label of whatever feeling you’re harboring that you’d like to leave you. For example, you might name the stones Guilt, Fear or Anger. Anthony suggests that you keep the stones on your bedside table. Develop a relationship with them; become friends. The healing frequency of the minerals will act as an antidote to whatever ails you, whether emotional, spiritual or physical. 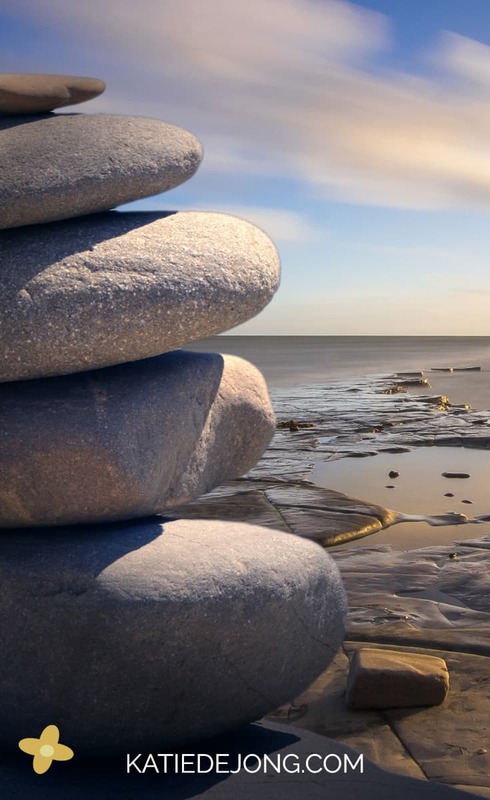 When the time comes that you feel the stones have done their job and you’re ready to let them go, carry them back to nature and release them into a body of water such as a pond, ocean or lake, river or stream. The living water will purify them of the venom they’ve drawn from you, and you’ll walk away purified too. Anthony suggests that it will be centuries before scientists discover all of the healing benefits that the sun provides. Not only is it calming and warming, but “the sun’s rays contain mystery elements and promote biochemical reactions in our bodies that produce more than just Vitamin D”. No wonder I can feel so miserable in cold climates if I haven’t seen the sun properly for months! He says just look at pets and how they instinctively find a warm, sunlit patch on the floor to bask in. All animals love to sunbathe; they know it’s a powerful healing tool. Anthony suggests spending time each day to allow your skin to absorb sunlight, if possible. He suggests acclimatising to 15 minutes a day, taking care not to get sunburned. If it’s a cold time of the year, find a peaceful spot where the sun comes through a window. He says to make the meditation most powerful, call upon the Angel of the Sun to help the rays enter into your being to soothe your soul and heal your body. Picking fruit, Anthony says, is one of the most powerful meditations in existence. He says it is a sacred act of respect and gratitude to Mother Earth for the miracle of food. Even if you only do it once in your lifetime, it will be an experience you can reignite over and over, just by thought, to activate the healing in your soul. Anthony explains how each piece of fruit on a tree is living food that’s connected, via the plant’s roots, to living water deep within the earth. When you touch the fruit, your cells will resonate with the fruit’s grounded nature, spreading peace throughout your body. On top of that, fruit picking forces you to stretch as you reach for the fruit. These natural stretches apparently supersede any human created exercises. On the topic of stretches, I adore Donna Eden’s 5 minute Morning Energy Routine, which is a series of delicious stretching exercises that wake up, energise, heal and harmonise the body. This is another one I do religiously every morning because it feels so good and my health feels so much more resilient when I remember to do it. Picking berries or wildflowers has the same effect as picking fruit, apparently. Since humans have existed on the planet, berry picking has been a celebration of abundance. When we follow this millennia-old tradition, it ignites the ancient celebration of life within our soul and promotes healing. As you pick the fruit, meditate on all the months of development that led to this moment. First the plant started as a seed and grew to fruiting size. When it reached maturity, it didn’t start bearing fruit every month of the year; rather, it developed with the seasons. Our lives go through similar cycles. When we take the time to focus on nature’s rhythms, we activate trust and faith within our souls that our efforts to live a good life will be fruitful. Picking berries or wildflowers has the same effect as picking fruit, apparently. Since humans have existed on the planet, berry picking has been a celebration of abundance. When we follow this millennia-old tradition, it ignites the ancient celebration of life within our soul and promotes healing. As you pick the fruit, meditate on all the months of development that led to this moment. First the plant started as a seed and grew to fruiting size. When it reached maturity, it didn’t start bearing fruit every month of the year; rather, it developed with the seasons. Our lives go through similar cycles. When we take the time to focus on nature’s rhythms, we activate trust and faith within our souls that our efforts to live a good life will be fruitful. When reading Anthony’s suggestions, I realised that in many ways he’s suggesting we return to the ways of our ancestors and indigenous people, who naturally honour and respect nature’s rhythms. They intuitively know that the way to a happy and healthy life is to live in sync with, and pay respect to, nature. They live in a state of wonder and awe at the intelligence of nature and all natural systems. In Australia in the 1980s, the government rolled out a scheme to provide housing for our indigenous Aboriginal people. They were outraged when the Aborigines would remove the mattresses from the houses to sleep out on the street. From the Aborigine’s point of view, they needed to be connected with nature and the stars while they slept and couldn’t understand why we would want to sleep inside. Somewhere along the way in our modern mode of living we’ve grown disconnected from this sacred connection to nature. This could easily help explain why so many people today suffer from depression and chronic disease. So please enjoy these techniques for reconnecting and re-tuning yourself to nature, to soothe and nourish your soul. I’ll definitely be trying to implement more of these in my life myself these coming months. Please let me know if you feel any difference or improvement in your mood, health or vitality, I love hearing from you! With havin so much written content do you ever run into any problems of plagorism or copyright violation? My blog has a lot of completely unique content I’ve either authored myself or outsourced but it looks like a lot of it is popping it up all over the internet without my authorization. Do you know any solutions to help protect against content from being ripped off? I’d really appreciate it.